The U.S. is ready to launch a US $10 million drone to control part of its border with Canada. A Predator B aircraft, the first to patrol the United States' northern border, completed a flight from Arizona to North Dakota successfully on Saturday. The drone is set to control a part of the US – Canada border which goes along the upper edge of North Dakota and a slim part of Minnesota. The vessel that weighs about 5 tons and can stay aloft for 18 hours, cost US $10 million. It will execute its first mission, designed to spot people crossing the border illegally, in January. 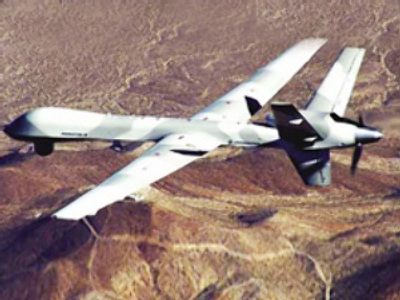 Similar unmanned aircraft have been successfully used along the country's southern border since 2005. Since then they have helped discover more than 8,000 kg of marijuana and 4,000 illegal immigrants, a spokesman for the Customs and Border Protection agency was quoted as saying by The New York Times. When asked whether he expected to uncover a significant problem with drugs, border crossings or terrorism in northern North Dakota, John Stanton, the executive director of the agency’s national air security operations said no one was sure. Still, the safety of drones is questioned by experts. In 2006 a Predator B aircraft crashed in Arizona, barely missing a house. The incident was blamed on human error. A pilot had been operating the drone from miles away.